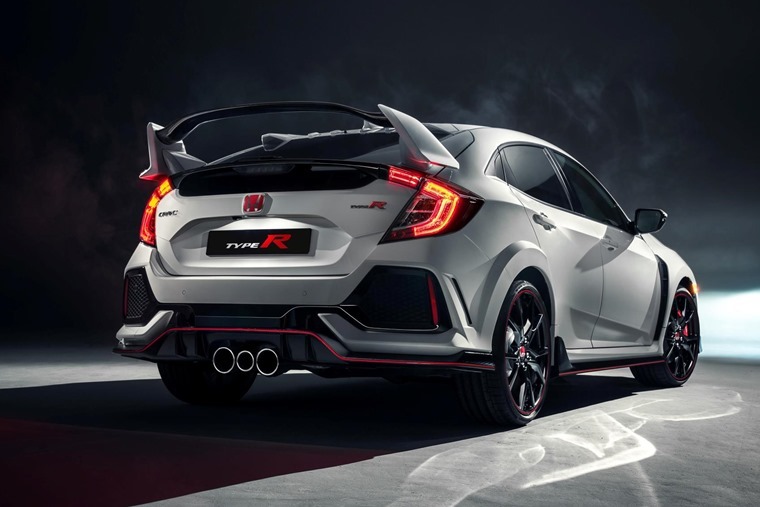 One of the most eagerly awaited cars of the Geneva Motor Show, Honda has finally given us the lowdown on the upcoming Civic Type R, which will start at £30,995 for the entry-level model. Producing 316bhp, could this be the car to beat the Ford Focus RS? It uses the new 10th-generation Civic as its base, although as we’ve come to expect from a Type R, the styling is rather more special. It’s as extravagant as ever, but Honda promises that it’s not just about style; it’s about aerodynamics too. There’s extra down force courtesy of an air curtain at the front, while the roof is designed with airflow in mind too. There’s no missing that massive rear wing either, and it’s all set off by 20in alloy wheels and a central three-pipe exhaust. Aside from the rather loud colour scheme, the interior is a much more conservative affair. Everything is where you’d expect it to be. The addition of sports seats make it feel more special than the standard car, but aside from a few bits of trim, it’s business as usual. Under the bonnet is where it counts for a car like this, and the turbocharged 2.0-litre VTEC engine produces 316bhp and a 400Nm of torque. Unlike the Focus RS, the Civic remains solely front-wheel-drive. 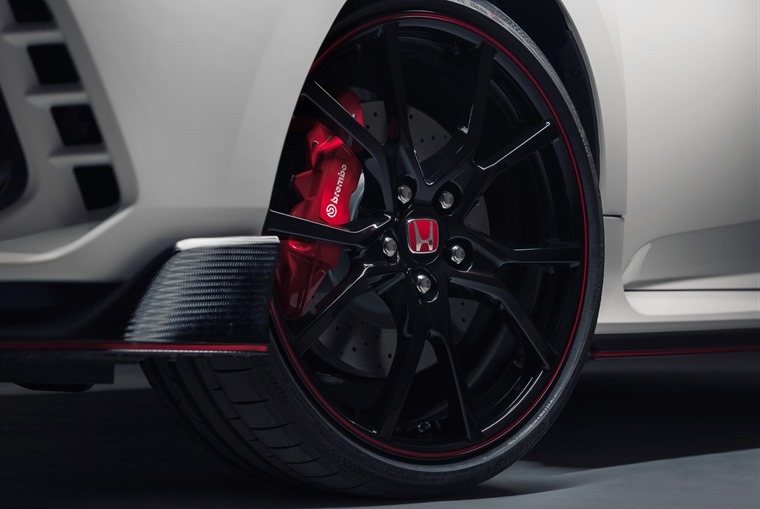 Connected to an all-new six-speed gearbox, the Type R gets a set of adaptive dampers too. This has enabled Honda to offer it with a range of driving modes – a first for the Type R. R+ is the most brutal, with the throttle, damper and gearshift response all taking a step up but, unless you’re heading to the Nurburgring, Comfort and Sport mode will be sufficient. 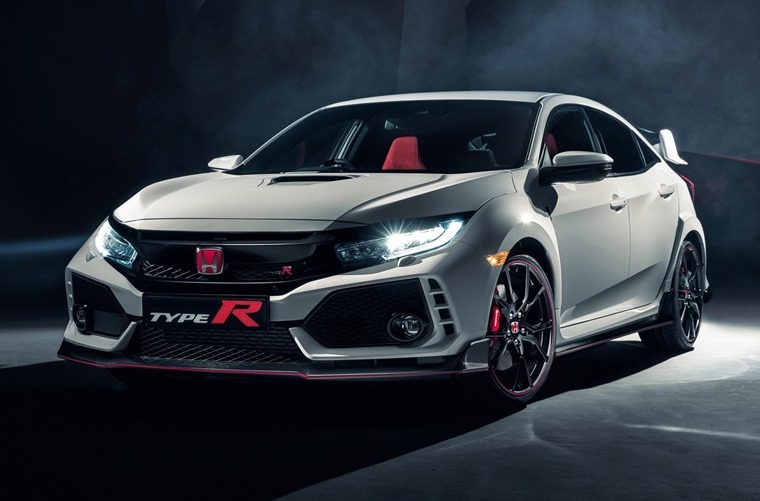 The Type R promises to be a blast in the corners thanks to a strengthened body, which has increased rigidity by 38% compared to the outgoing model. Another addition is a rev-match function, which helps smooth out gear changes. Set to hit the forecourts in July, the entry level model will cost £30,995. The GT version will cost an additional £2,000 and will come with a host of extras, such as blind spot information including cross traffic monitor, dual zone climate control, auto dimming rear view mirror, Honda CONNECT with Garmin Navigation, wireless charging, high power audio, and LED front fog lights. You better be quick though, because there’ll likely be a long waiting list for this ultimate hot hatch. In April, a development Type R set a new world record for front-wheel drive cars at the Nürburgring Nordschleife, lapping the world-famous circuit in 7 minutes 43.8 seconds.